Euglossini bees are among the main pollinators of plant species in tropical and subtropical forests in Central and South America. These bees are known as long-distance pollinators due to their exceptional flight performance. 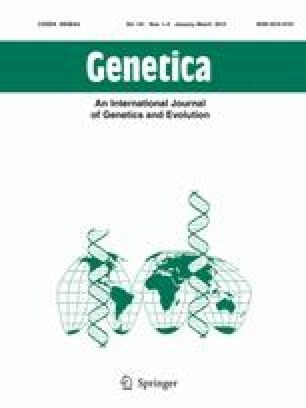 Here we assessed through microsatellite loci the gene variation and genetic differentiation between populations of four abundant Euglossini species populations sampled in two areas, Picinguaba (mainland) and Anchieta Island, Ubatuba, São Paulo State, southeastern Brazil. There was no significant genetic differentiation between the island and mainland samples of Euglossa cordata (Fst = 0.008, P = 0.60), Eulaema cingulata (Fst = 0.029, P = 0.29) and Eulaema nigrita (Fst = 0.062, P = 0.38), but a significant gene differentiation between mainland and island samples of Euglossa stellfeldi (Fst = 0.028, P = 0.016) was detected. As expected, our results showed that the water body that separates the island from the mainland does not constitute a geographic barrier for these Euglossini bees. The absence of populational structuring of three out the four species studied corroborates previous reports on those bees, characterized by large populations, with high gene diversity and gene flow and very low levels of diploid males. But the Eg. stellfeldi results clearly point that dispersal ability is not similar to all euglossine bees, what requires the development of different conservationist strategies to the Euglossini species. The authors would like to thank “Conselho Nacional de Desenvolvimento Científico e Tecnológico” (CNPq; Grant No. 141022/2007-8) for the scholarship granted to LC Rocha-Filho, “Fundação de Amparo à Pesquisa do Estado de São Paulo” (FAPESP 2004/15801-0) and the staff at the study sites (Picinguaba and Anchieta Island) for their support.